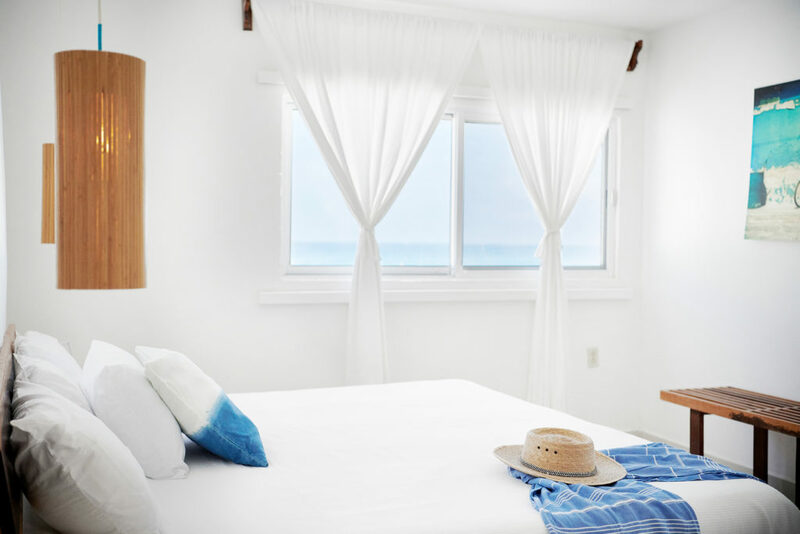 The Ocean View Room, with an upstairs, studio-style layout, will relax you with the sound of waves outside the windows and a stunning view of the Caribbean Sea. An added bonus is the small patio from which you can have a front row seat for the sunrise each morning. Single bath. 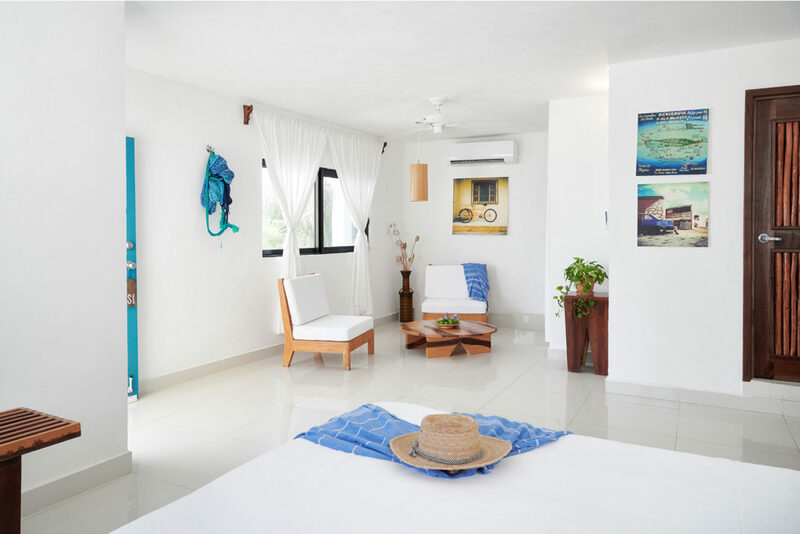 Air conditioning, two ceiling fans, refrigerator and coffee maker included. Rate for two. Max 2. Non-smoking room. 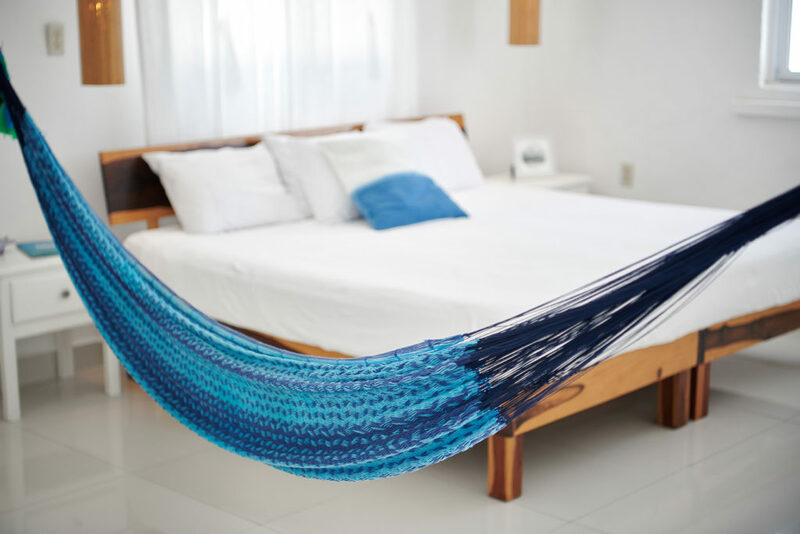 Includes fridge, coffeemaker, air conditioning, safe, hammock, hairdryer. Please read our FAQ regarding wi-fi. We ask for your credit card details but we will not charge it now. 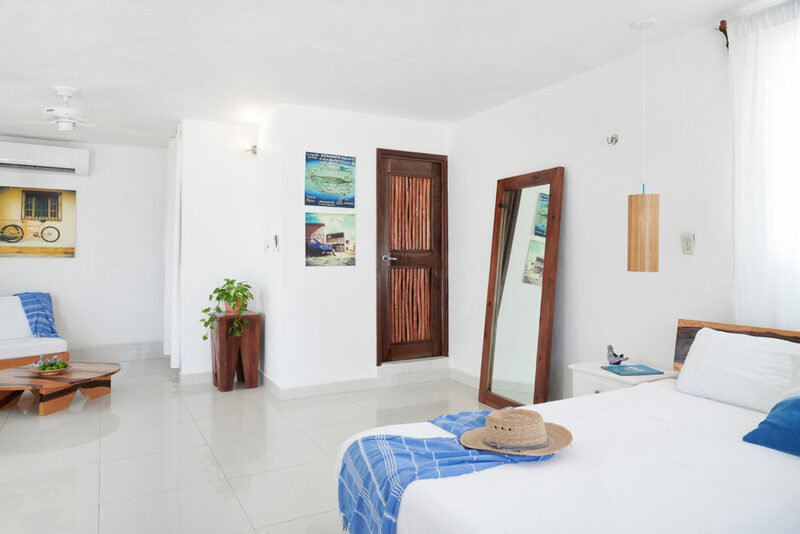 Welcome to our adorable five room hotel perched on the sea in beautiful, vibrant downtown Isla Mujeres, Mexico. 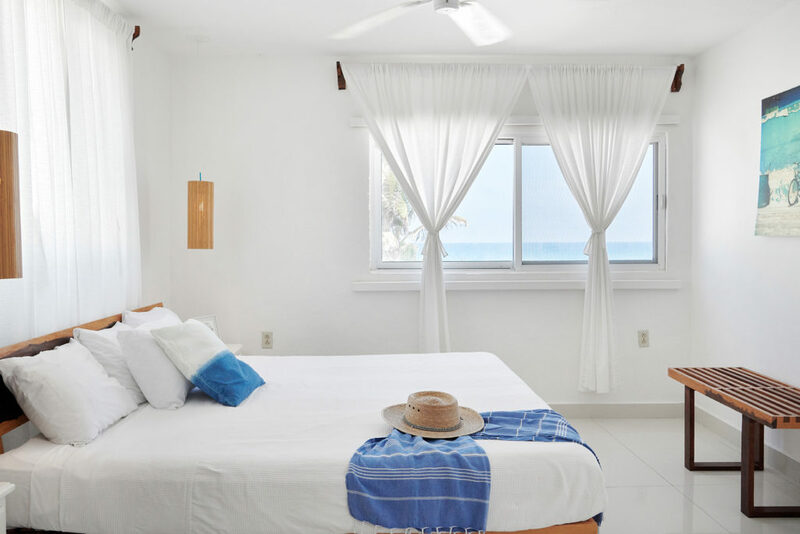 Casa el Pío is for the independent traveler and adventurous spirit.